Eagle-eyed visitors will have noticed that I've added an RSS feed to the News page. If you copy the link into your RSS reader, you'll receive a potted summary each time the News page is updated. (Well, that's the theory, anyway!) You can read more about RSS and how to receive the updates here. If you have any comments on this - is it working? - email me! More details pertaining to the Spike Milligan documentary, The Life & Legacy of Spike Milligan, (which was originally announced in the News entry for the 9th of December) are now available. The disc features an extended (eighty-seven-minute) version of the documentary that was shown on BBC2 over Christmas). 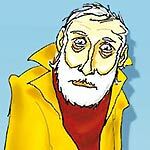 The full title of the documentary is I Told You I Was Ill: The Life and Legacy of Spike Milligan. The Australian production is a treasure trove of Milligan-related material, including clips from his home movies, and interviews with family members, friends and collaborators. The documentary is presented in 1.78:1 anamorphic widescreen format, with 2.0 audio (at 192kbps). The disc features two commentary tracks: one by the director (accompanied by interjections by an actor playing "Spike"), and another by Milligan's daughters Jane and Sile. There are six "mini-docs", which can be played from the menu, or inter-cut into the main documentary Follow The White Rabbit-style. These are: Spike The Godfather of Alternative Comedy (4m); Spike and Monty Python (4m); Spike The Soldier (7m); Spike The Activist (4m); The Milligans of Sligo (4m) and The Daffodil Story (3m). The disc also contains a collection of Milligan's home movies (10m); a featurette about the creation of the documentary, and the company that produced it (The Spike Team: Our Part in his Uprising, 15m); and a game, The Spoon Show Game, which can be played on a computer. The disc, from Ventura International, is due on February the 6th, with an RRP of £15.99. The set features twenty-two episodes, including experimental episode My Butterfly (which shows how a tiny event can have far-reaching consequences), and "supersized" longer episodes. Guest stars in these episodes include Michael J. Fox, Tara Reid, and, in the Emmy Award-winning episode My Screw Up, George of the Jungle's Brendan Fraser. 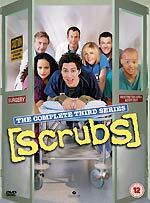 Bonus features include a look at the series' stunts, titled Don't Try This At Home; Twist & Shoot (interviews with three directors); a featurette on the guest stars, Long Term Residents; What's Up Dawg?, which looks at the dogs that the cast and crew keep around the set; Scrubs Factor, a look at the games of dare between cast and crew members; and Robert Keeps Talking, the third of the series of extended cast interviews. No technical spec's were announced. RRP is believed to be £34.99. 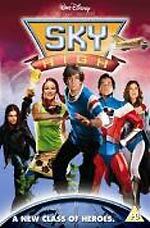 Disney's well-liked superheroes-in-training movie Sky High will make its UK DVD debut on the 6th of February. The film, which stars Kurt Russell and Kelly Preston, will be supplemented by bloopers; deleted scenes; an alternate opening; a music video; Welcome To Sky High; storyboards; Breaking Down The Walls: The Stunts of Sky High; and Filming the Guinea Pig. No technical spec's were announced (the American disc is presented in 2.35:1 anamorphic widescreen format, with 5.1 audio). RRP is believed to be £19.99. Sleeve image courtesy of Play.com. Some more details about Optimum's Wolf Creek disc are available (it was originally announced here, on the 2nd of November). The second disc in the set contains a fifty-minute Making of... documentary; three deleted scenes (Nathan at Store - "G'Day", Kestie in Bed With Nathan, and Cass Down The Well, totalling 6m); a teaser trailer; Meet Mick Taylor - An Interview With John Jarratt (21m); an Exclusive Clip from Wolf Creek (this seems to be an especially-shot teaser trailer, featuring school children creating an archetypal serial killer urban legend); and trailers for Dead Man's Shoes and Switchblade Romance. More details about Optimum Asia's Porco Rosso and Pom Poko discs (originally announced in the News entry for December the 9th) are now available. 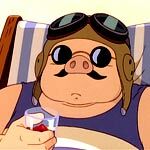 Porco Rosso is offered in anamorphic 1.76:1 ratio, with a choice of English 2.0 (224kbps) and Japanese 2.0 (224kbps) soundtracks (with optional English subtitles). English HoH subtitles are also offered. The disc features an option to view the film's storyboards (you can toggle between the storyboards and the finished animation using your remote's Angle button; a short interview with Producer Toshio Suzuki (3m) and trailers for the film (8m), and other Studio Ghibli movies (10m). Pom Poko is presented in anamorphic 1.83:1 format with a choice of English 2.0 (224kbps) and Japanese 2.0 (224kbps) soundtracks (with optional English subtitles). English HoH subtitles are also offered. Pom Poko also has an alternate-angle presentation of the film's storyboards; Pom Poko trailers (8m); and the same Studio Ghibli trailer reel that's on Porco Rosso. Menu screens for the new Porco Rosso and Pom Poko discs can be seen here.